CVS Pharmacy Saved the 18th c Audubon Inn — Will it Save the 18th c Covered Wagon Inn? Several people have commented on Community Matters, Save the Covered Wagon Facebook page and on the Change.or petition about a land development project on Egypt Road in Lower Providence Township, Montgomery County. That 2006 CVS redevelopment project included a proposal to demolish the Audubon Inn, an 18th century building and is eerily similar to Summit’s proposed plan to demolish the old Covered Wagon Inn for the construction of a CVS with drive-thru. The proposed land development plan for the CVS in Audubon contained approximately 2 acres and the circa 1757 Audubon Inn was located on the corner at the intersection of Egypt Road and Park Avenue. Much like what has happened here since last week’s announcement at the Planning Commission meeting to demolish the Covered Wagon Inn, there was a public outcry of opposition and interested citizens came together to save the Audubon Inn from demolition. The CVS/Audubon Inn developer Redwood Holdings of Cherry Hill, NJ spent several years (and no doubt much money in addition to time) working with township officials, the county planning commission, and local interest groups for resolution. In the end, Redwood Holdings was able to build their CVS Pharmacy with drive-through but also save and preserve the Audubon Inn. The CVS drugstore in Audubon was built to resemble a traditional barn, so as to complement the existing Audubon Inn. Complementary materials, colors and architectural details were used to blend with the historic character of the Audubon Inn. 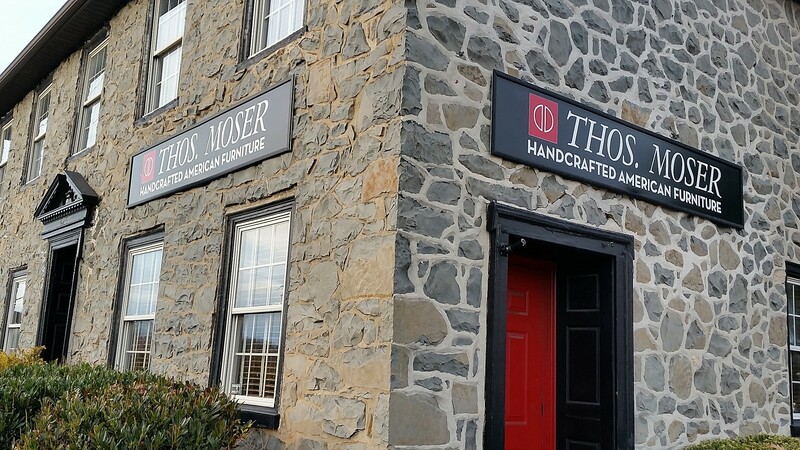 A fieldstone façade, varied rooflines, window design with dormers and shutters, etc. was an attempt by Redwood Holdings to reduce the impact and create an overall appealing aesthetic for the community and Audubon Inn. The CVS/Audubon Inn project was so successful, that the Montgomery County Planning Commission awarded the CVS Pharmacy and Audubon Inn the 2008 award in Excellence in Planning And Design! 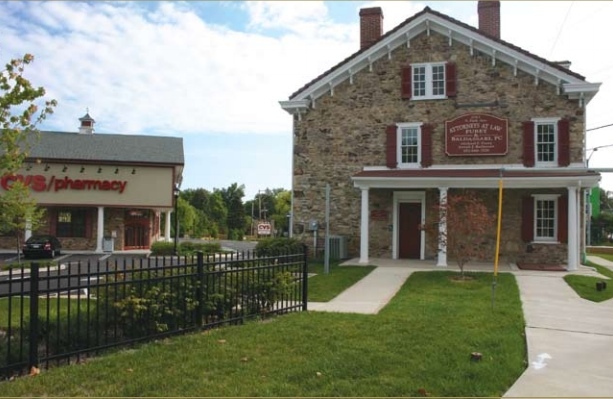 In the description of the award, it stated that the project “preserved the historic inn and successfully integrated a new drugstore into an historic setting.” According to one article I read, community input and collaboration between the township and developers was critical to the success of the project. The Audubon Inn was meticulously restored by the law firm of Fuey & Baldassari and now houses their law offices. I have stated and will re-state that I am no opposed to development, I’m only opposed to the unnecessary demolition of historic properties. Summit Realty Advisors has a right to build their CVS with drive-through at this location. 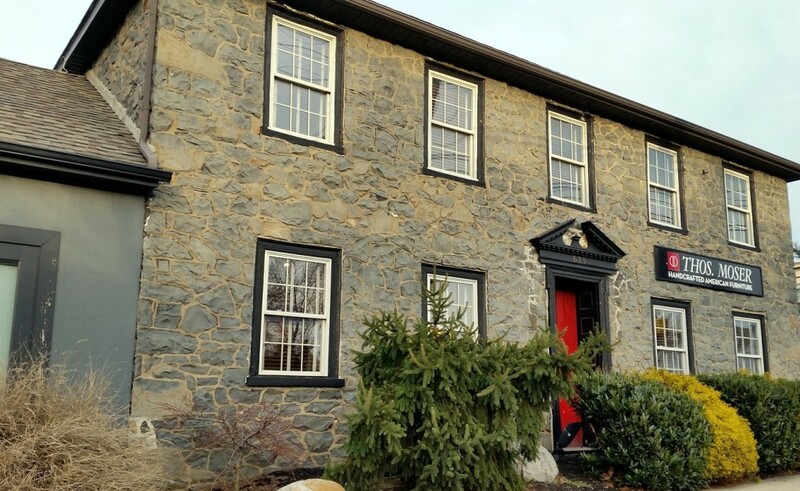 Tredyffrin Township has no historic preservation ordinance protecting its historic buildings — not even its National Historic Register properties are not protected!) so therefore, … Summit has the right to demolition the Covered Wagon Inn. But I firmly believe in the saying, “If there’s a will, there’s a way” and the CVS/Audubon Inn project shows how successfully it can abe done! Chain drugstores are expanding rapidly into traditional American downtowns and urban neighborhoods. Research of the National Trust Main Street Center has shown that drugstore chains can play a role in revitalizing older downtowns. The National Trust for Historic Preservation is pleased to see these investments by chain drugstores in situations where they are welcomed by the community and do not threaten a town’s character or historic integrity. Unfortunately, chain drugstores have frequently demolished significant structures, replacing them with freestanding suburban-style stores whose design – seas of parking, drive-through windows, blank exteriors, and one-story scale – disrupt the traditional main street. Even when stores use vacant land, their prototypical boxes are inappropriate for pedestrian-oriented downtowns. Generic design, disregard of scale, and the destruction of historic properties greatly damage a community’s unique sense of place. There has been questions about the exact date of the Covered Wagon Inn. According to Tredyffrin Township’s 2003 Historic Resource Survey, the construction date is attributed to circa 1780. A team of professionals from Preservation Design Partnership in Philadelphia conducted the municipal survey documentation project, which surveyed and documented over 350 historic resources in Tredyffrin Township. The township’s 2003 Historic Resource Survey was funded with taxpayer dollars and was intended to aid the municipal officials and staff in the protection of Tredyffrin Township’s resources. The preservation of historic buildings like the Covered Wagon Inn is a one-way street. 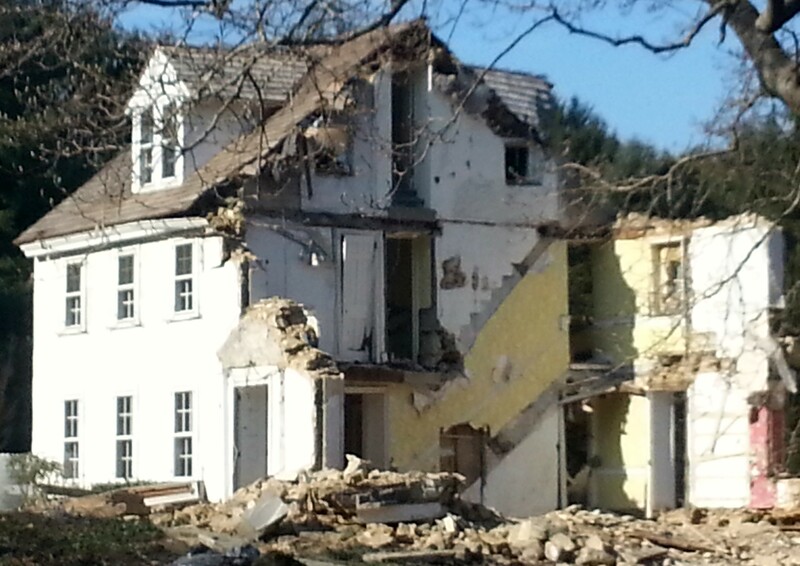 There is no chance to reuse or save the building, once it’s gone. 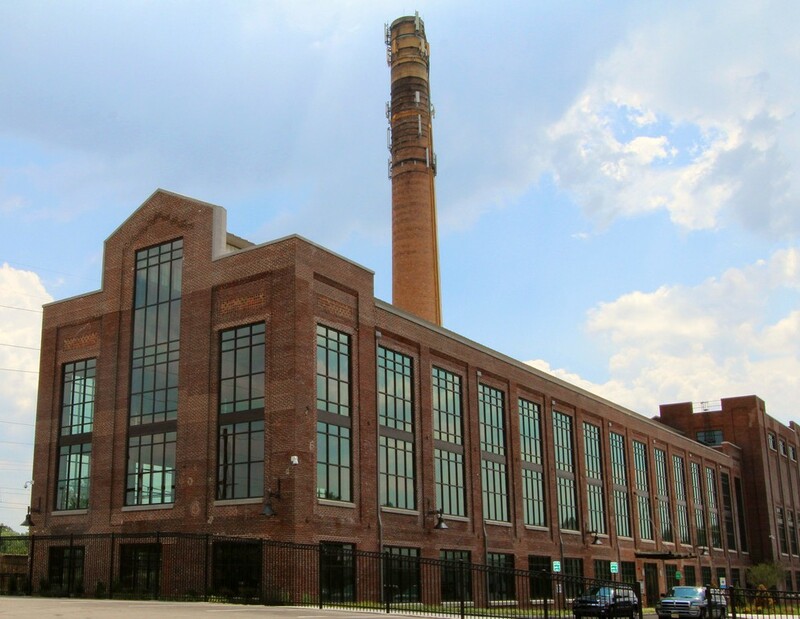 Preservation and restoration is the ultimate form of recycling. What is historic, and worth saving, varies with the beholder. Do I have absolute certainty that the construction date of the Covered Wagon Inn is 1780? The simple answer is no but does that make it less important to save? The Covered Wagon Inn is on the corner of Old Eagle School Road and Lancaster Ave. This intersection marks the boundaries between Radnor Township in Delaware County and Tredyffrin Township in Chester County. 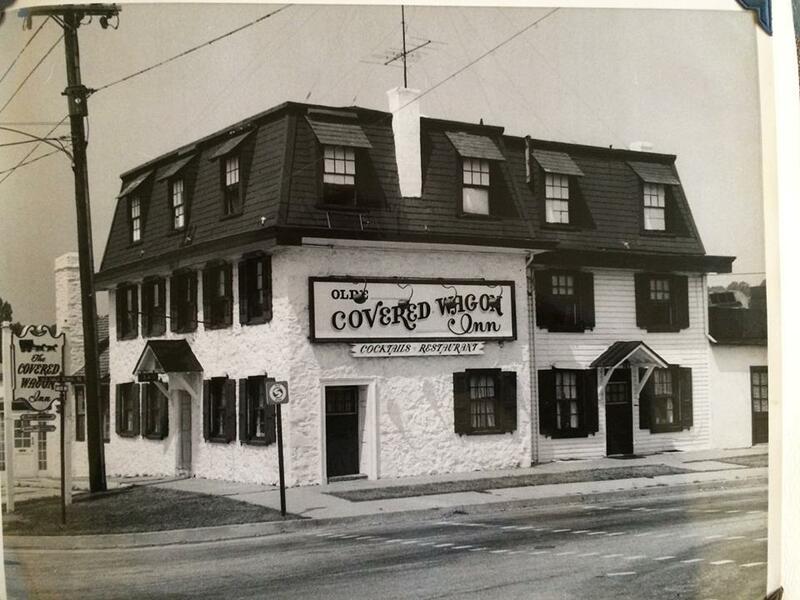 There has been a story swirling that the Covered Wagon Inn is actually in both Radnor and Tredyffrin townships. The plaques face each other, one labeled Chester County and the other Delaware County. Story is that patrons dining in the old inn would want to sit at the table placed over the plaques and enjoy joking that they were sitting in different counties! 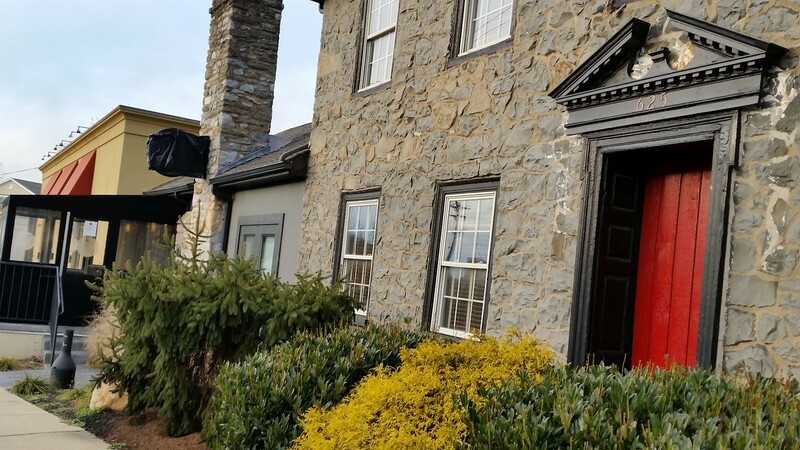 Tredyffrin Township’s township manager Bill Martin and zoning director Matt Baumann confirmed that the Covered Wagon Inn is located completely in Tredyffrin Township. The historic building probably was originally in the two counties but at some point, the property boundaries were realigned. 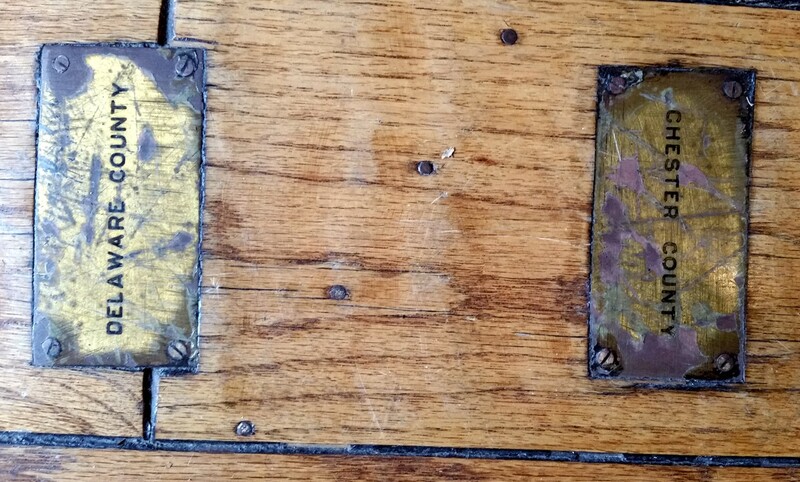 But it still makes for a great story and the brass plaques which remain on the floor are priceless to local history. 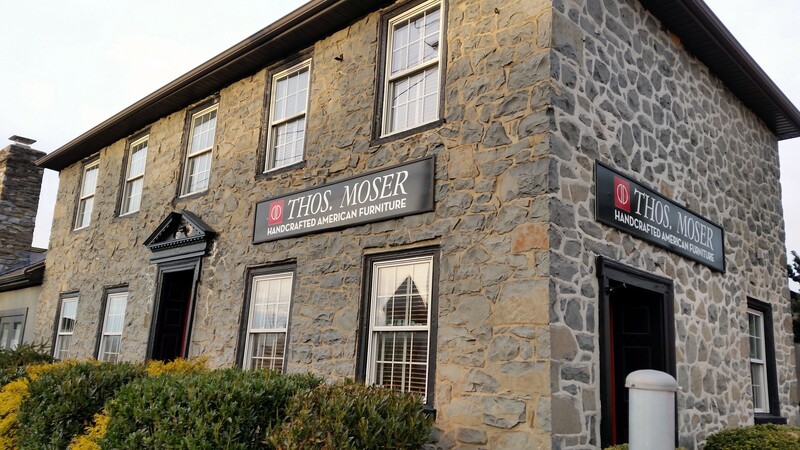 When I visited with the staff of Thos. Moser, the current tenants of the Covered Wagon Inn, I took a number of interior photos of the building’s wonderful interior, including the brass plaques on the floor and the large stone fireplace. 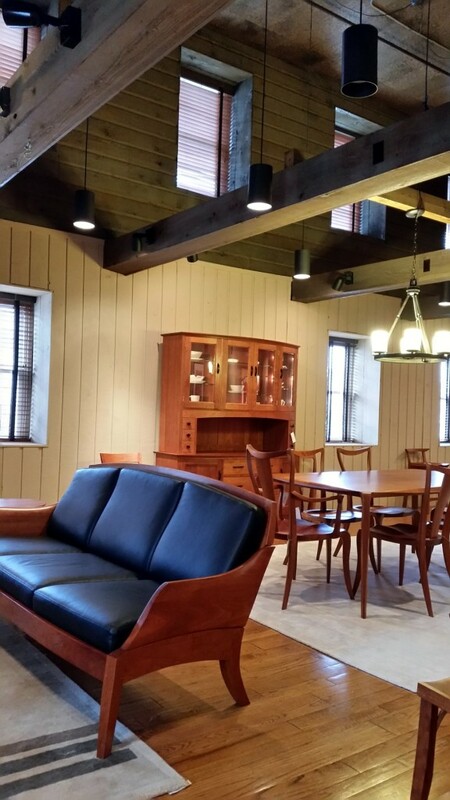 The restored interior space is the perfect backdrop for the fine American handmade furniture of Thos Moser. Please sign the Change.org petition to Save the Covered Wagon Inn by clicking: http://tinyurl.com/SaveCoveredWagonInn In 36 hours, over 1,700 signatures. People from as far as Hawaii, Washington State, Florida, etc. 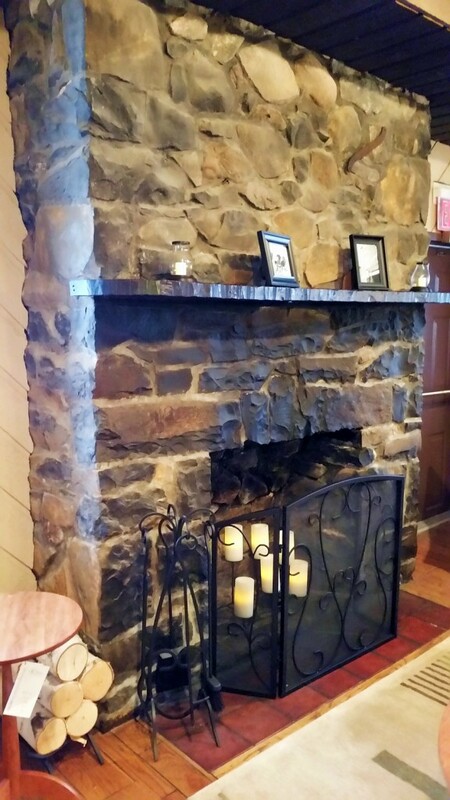 are sharing memories of the Covered Wagon Inn. Please sign and share your memories.